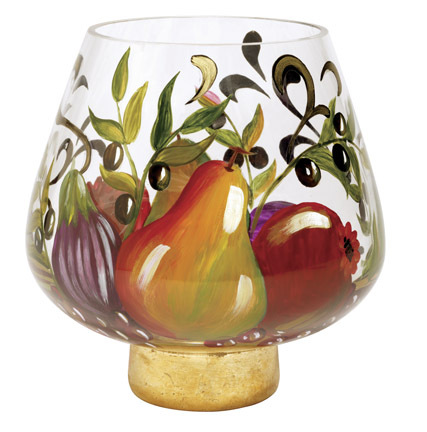 The Fruta Collection is a hand-painted barware and glassware collection of decanters, cheese domes, white wine glasses, red wine glasses, and candle huricanes. 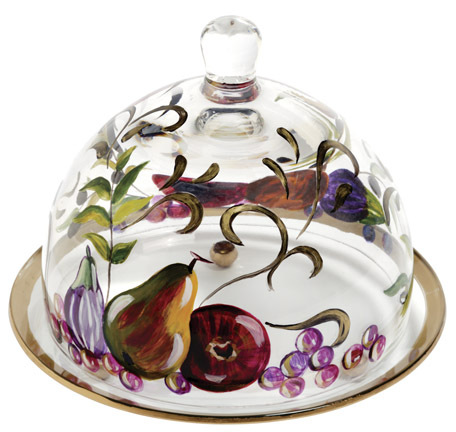 This Tre Sorelle collection is a beautiful hand-painted assortment of Italian Fruits including Pears, Pomegranates, Olives, Grapes, and Figs. 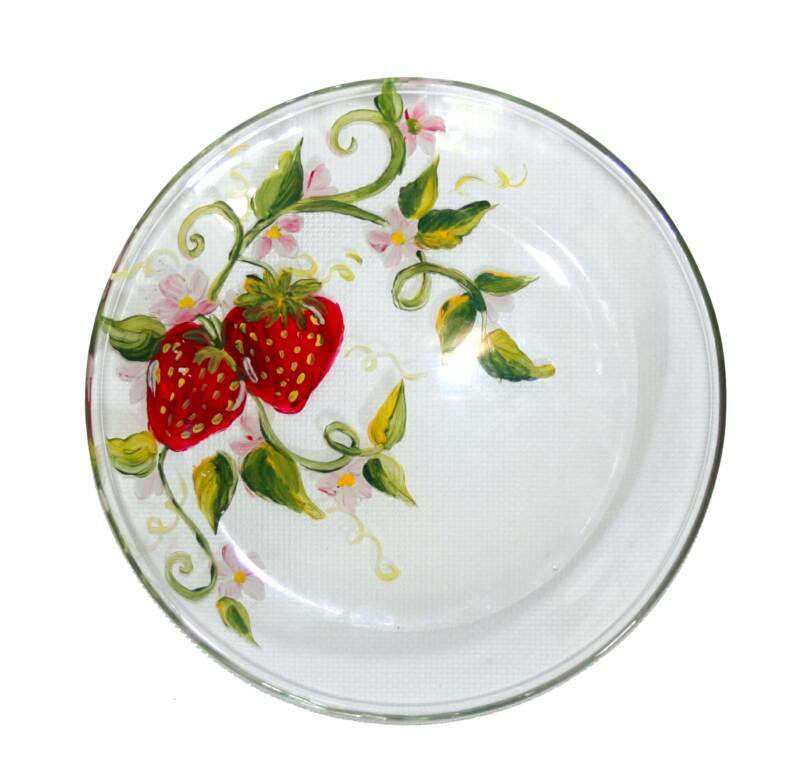 We also offer a beautiful laquered wooden serving tray with licensed Tre Sorelle Wine Art depicting these same fruits, bread, cheese, and scrolling designs. 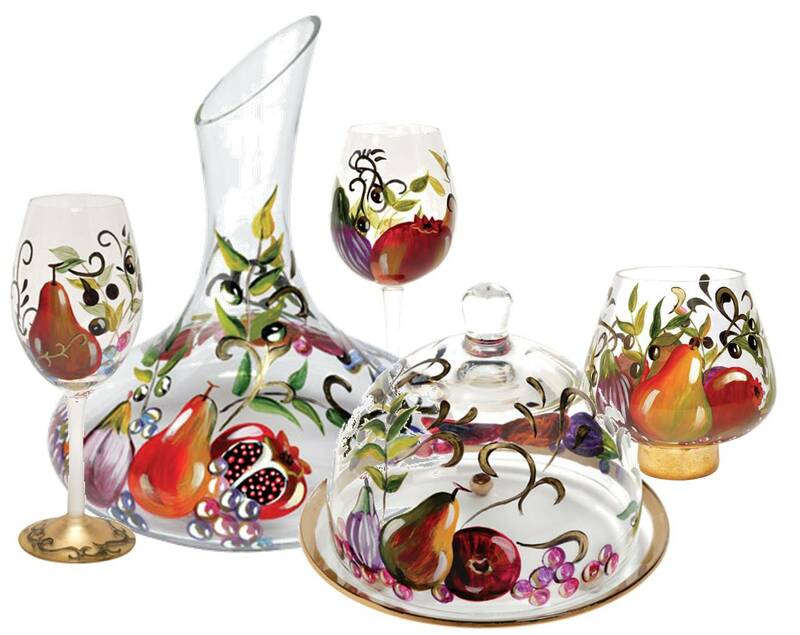 The Holiday Berry Collection is a hand-painted barware and glassware collection of decanters, cheese domes, white wine glasses, red wine glasses, and candle huricanes for the Christmas and Holiday season. 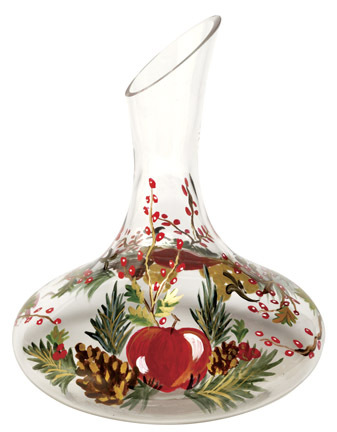 This collection of glassware is a beautiful depiction of Holly Berries, Twigs, Apples, golden grapes, pine cones, and winter foliage. 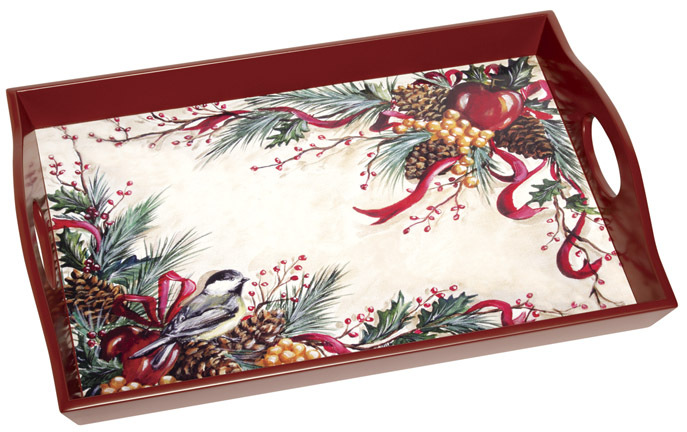 Our laquered wooden serving tray has a festive design of the same foliage with a beautiful little chickadee and red ribbon. 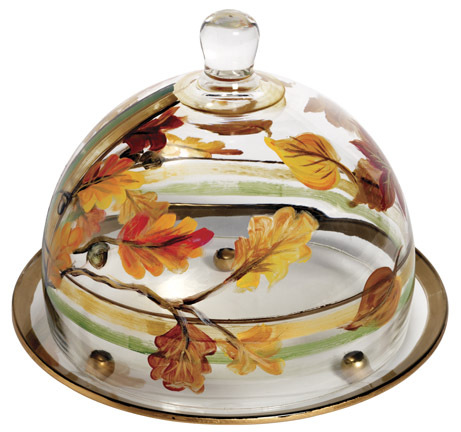 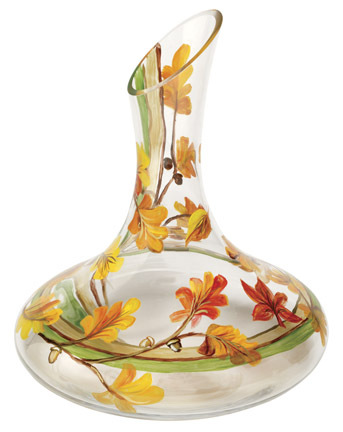 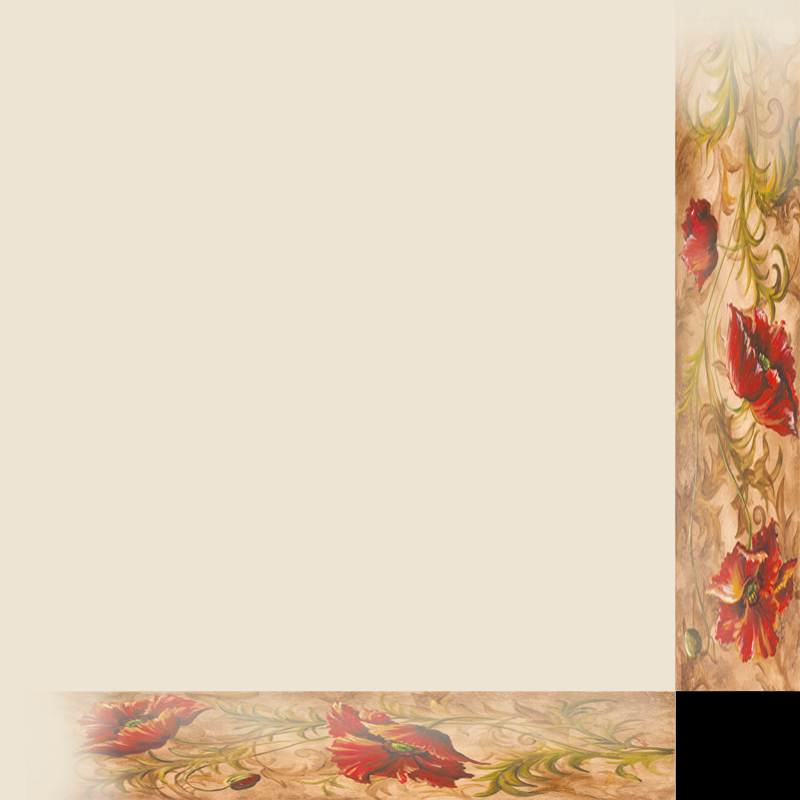 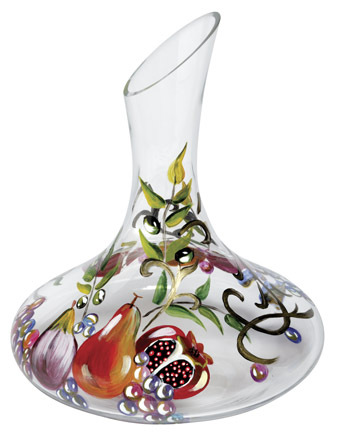 The Fall Leaves Collection is a hand-painted barware and glassware collection of decanters, cheese domes, white wine glasses, red wine glasses, and candle huricanes for the Autumn Harvest Thanksgiving season. 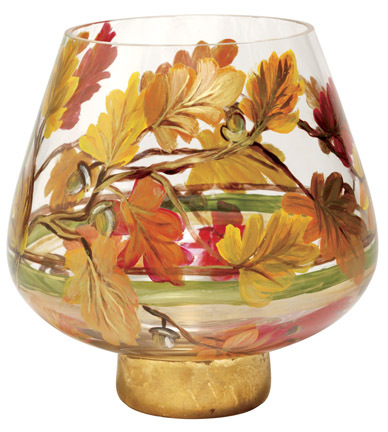 This collection of glassware is a beautiful depiction of Golden Leaves, entertwining twigs, and a green and gold plaid pattern. 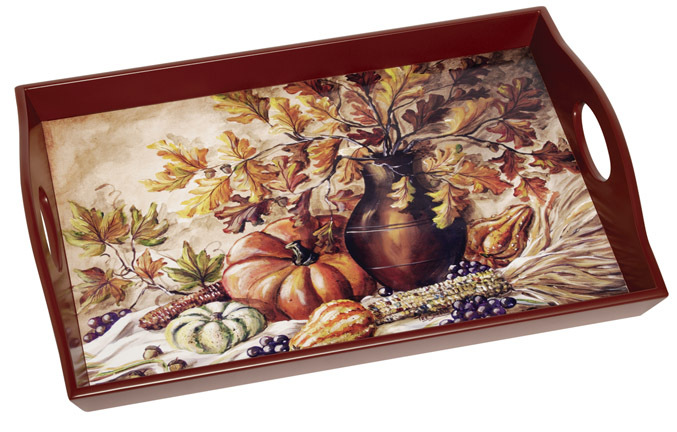 The accompanying serving tray has a beautiful Tre Sorelle Painting of Oak Leaves, nuts, gourds, pumpkins, and harvest fare. 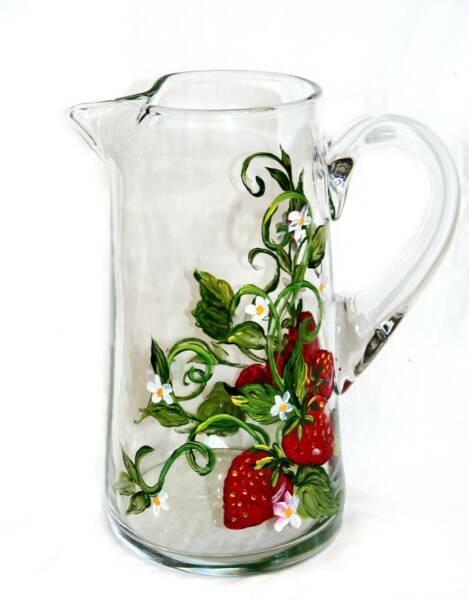 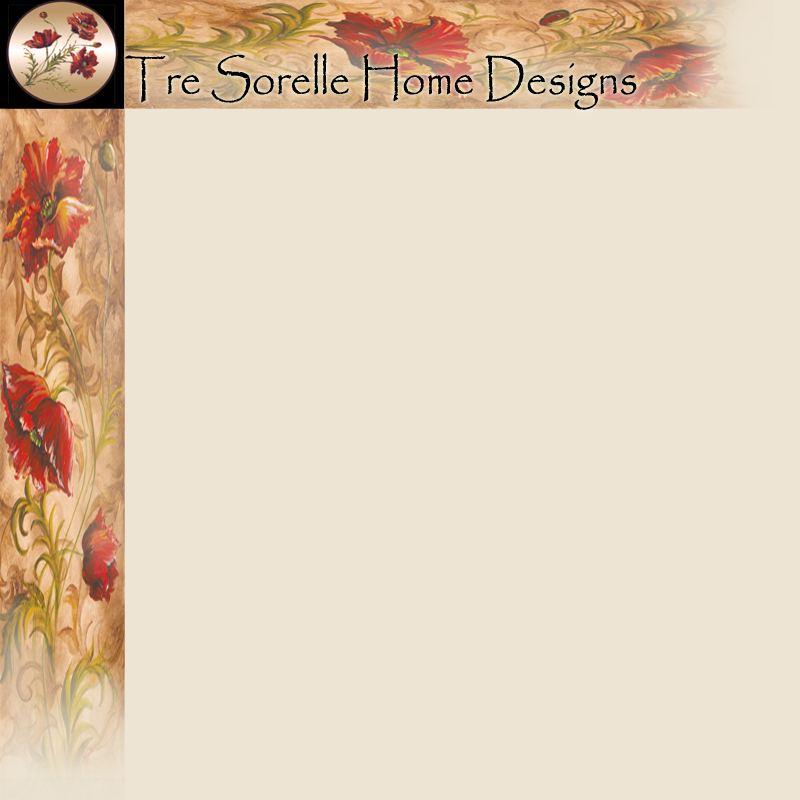 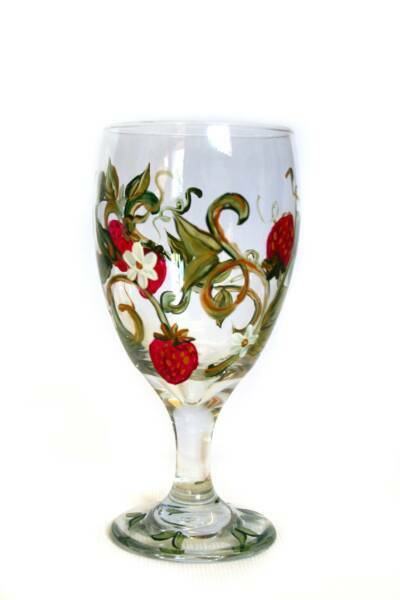 The Strawberry Festival Collection is a hand-painted glassware collection of pitchers, plates and iced tea glasses painted exclusively by Tre Sorelle Artists. 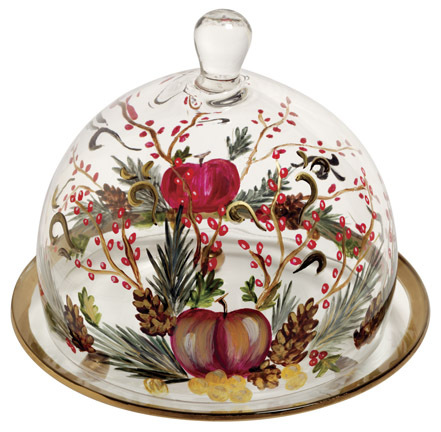 The Glassware is completely safe to eat off of and is the perfect addition to a Sunday afternoon brunch. 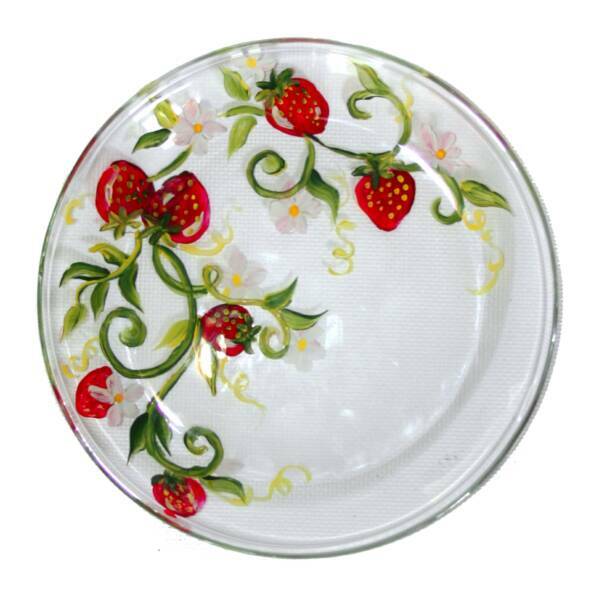 This collection depicts fresh strawberries and their blossoms, it is a summer must have.